One’s home may be their castle but that doesn’t mean the furnishings have to look medieval. 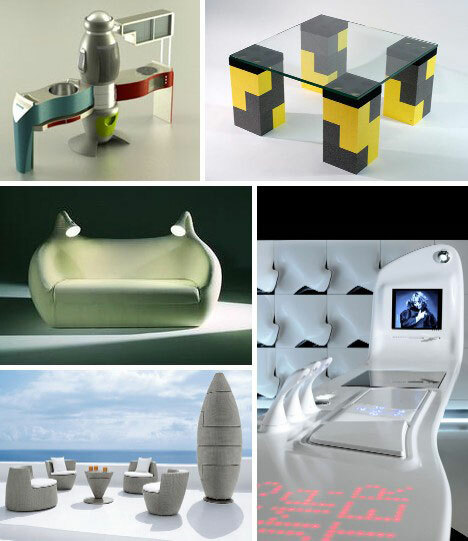 These 15 futuristic furniture concept designs prove there’s a lot of future in furniture… not to mention the letters R, N and I. Warning: the designs are awesome but their practicality may vary – do not try these at home, kids. Reaching for the future sometimes entails reaching back into one’s past – as these way cool LunaBlocks prove so well. 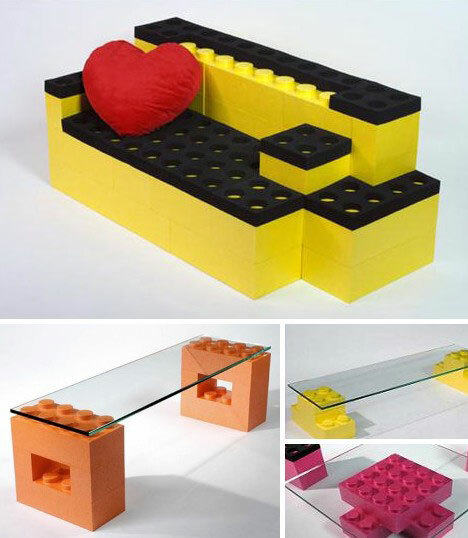 They’re basically jumbo-sized LEGO bricks that can be assembled to make sofas, coffee tables, whatever furnishings you require. Don’t go hog wild though… the blocks need to be shipped from the manufacturer in France and cost $20 to $55 per brick. 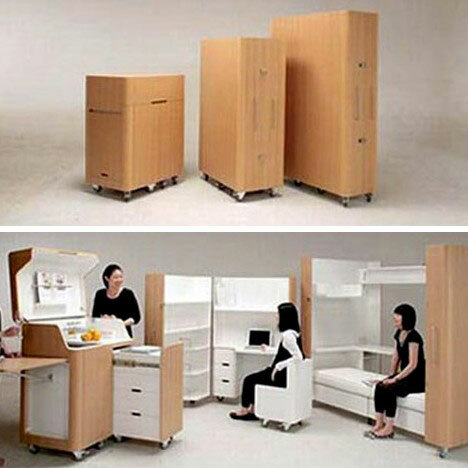 These days homes often house offices and offices are looking more like homes. Some things never change, though, such as a desk at which to do one’s work. The classic roll-top desk has evolved into what Polish design firm Mebelux calls Angular – a misnomer because it’s anything but! The Ghost lounge by Cedri Martini is just the thing to soothe the spirit (or perhaps imbibe some); its organic styling is easy on the eyes as well. Made from fiberglass and displaying a finish any Corvette would envy, Martini’s Ghost lounge awaits those shaken and stirred by their busy workdays. Sonic Chair Looks Good, Sounds Great! 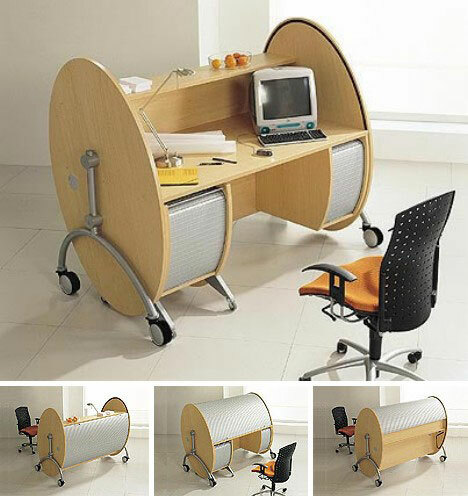 The Sonic Chair takes the look of Space Odyssey and adds a surround soundtrack suitable to the post-2001 world. 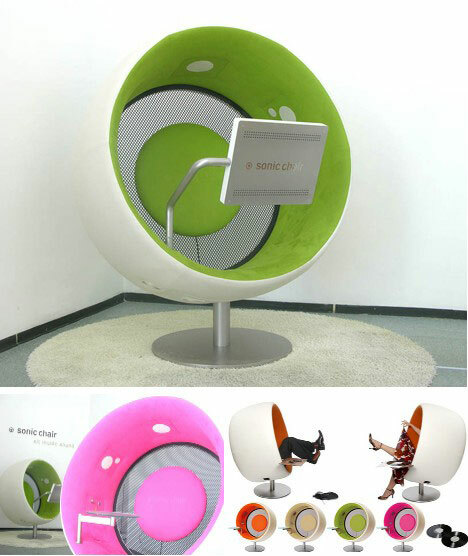 The Sonic Chair comes in 35 different colors and allows users to connect an iPod or a notebook computer to enjoy their favorite music in a self-contained setting. 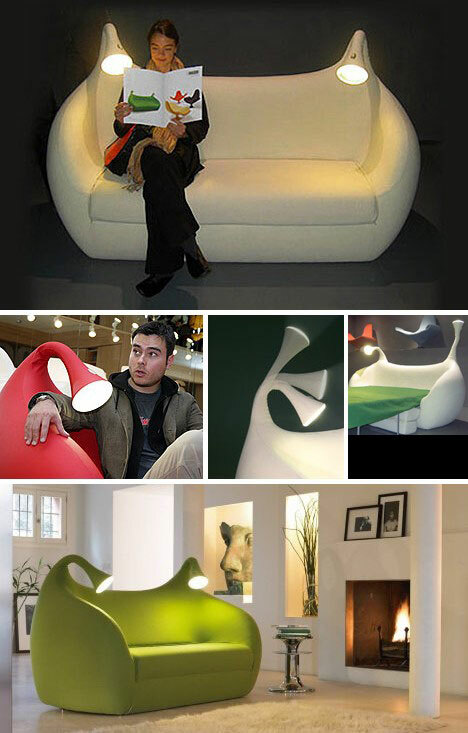 Named after Morpheus, the ancient Greek god of sleep, Morfeo sofa was designed by Giovannoni and Rodrigo Torres for avant garde furniture retailer Domodinamica. Morfeo adds a dash of practical whimsy to any room setting with its bendable, Shrek-style twin reading lamps, and when it’s time to sleep pulls out into a cozy sofa bed. Donkey end-table not included. 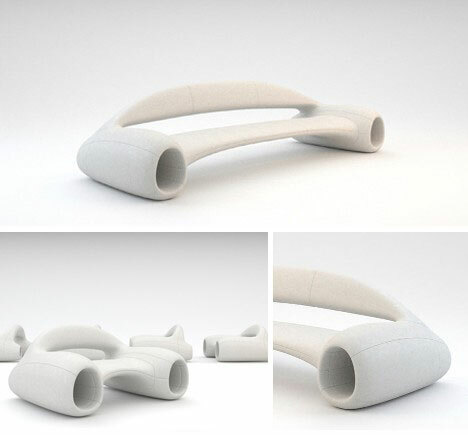 Phillip Grass is a Danish designer – which has nothing to do with either pastries or music (that would be Philip Glass). 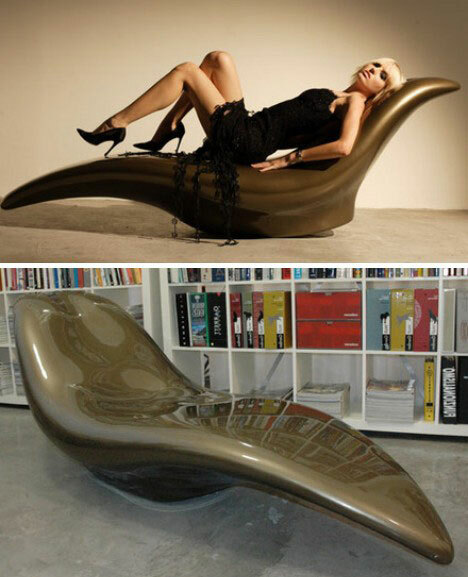 It does have a lot to do with very cool, very fast looking furniture like the Accelerator Sofa above. If Luke Skywalker wanted to kick back with a cold one, here’s where he’d want to do it. Alessandro Bêda couldn’t come up with a catchy name for the above chair, which goes by the non-name Untitled Chair. He did put a lot of effort into its mechanics, however. 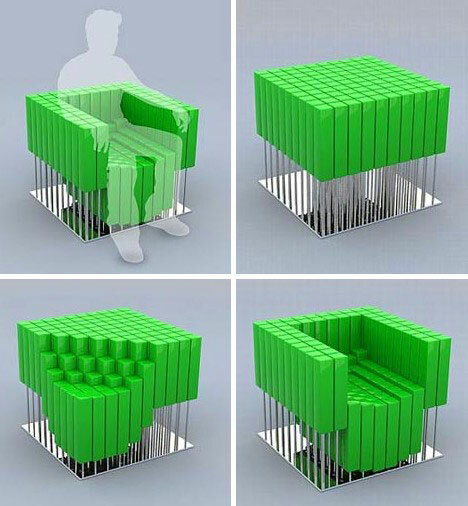 Each of the 100 tall rectangular blocks that make up the chair’s seating surface is mounted on a gas-filled shock absorber, thus allowing the seat to conform to the sitter’s posterior providing an optimum level of support. Sort of a “Shock Chair”, though that may cause people to think of Old Sparky, the prison electric chair. Maybe leaving the chair untitled was a better idea after all. Future is as future does, to paraphrase Forrest Gump. 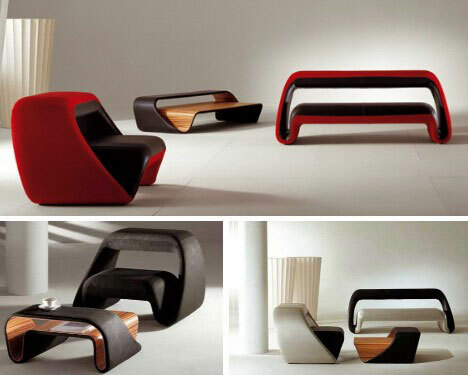 Meritalia’s Air Lounge system swathes cold cured molded foam over an electro welded inner steel frame, resulting in a variety of futuristic forms not attainable through traditional craftsmanship. Turkish designer Fatih Can Saröz thinks that “The dinners are one of the most special times for all families,” and really, who’s going to argue the point? Saröz created the Kure six-person dining set as an expression of his philosophy. It’s not much of a space-saver but it DOES glow with white light above and blue below. 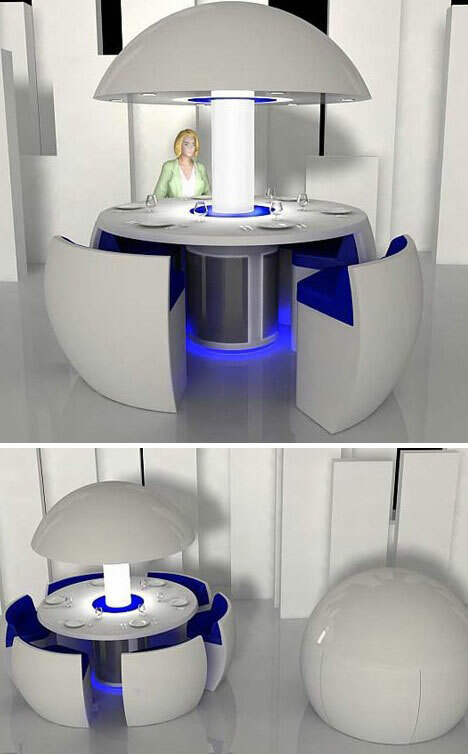 Certainly eating at the Kure table would make for a very special time indeed. The Z. 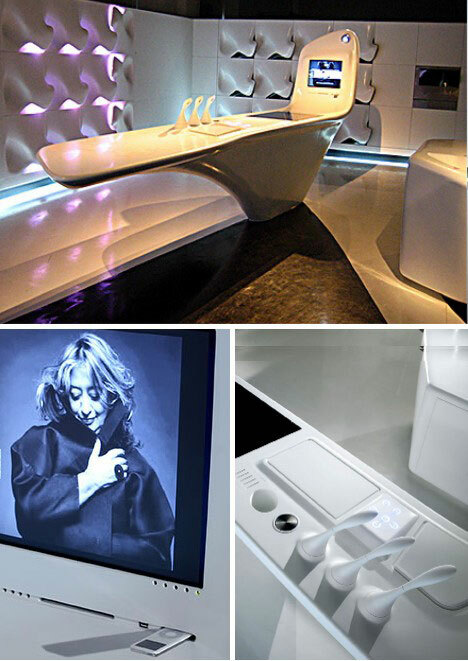 Island was designed by Zaha Hadid for Scholtes, Ernestomeda and DuPont, the latter providing their signature faux-ceramic Corian. The island boats a number of futuristic features that accommodate technology already available today, including a multimedia entertainment system with an Apple Mac Mini and a flat-screen TV. 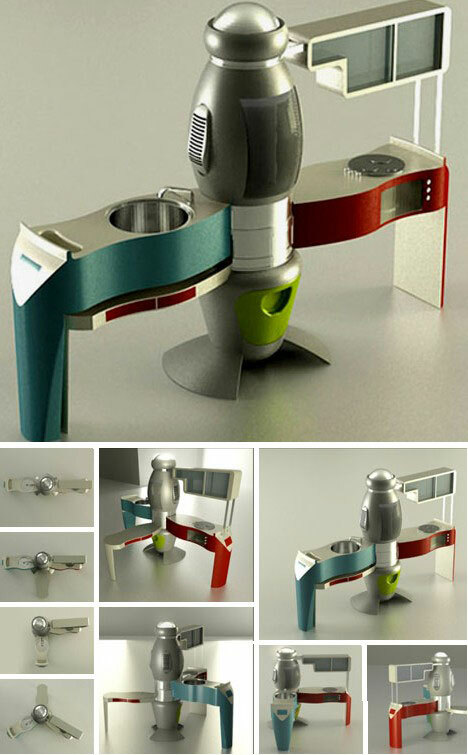 Aslihan Yilmaz is yet another Turkish designer who’s made kitchens that much hotter. With the Kitchen Mood concept, a fully functional kitchen including an ultrasonic dishwasher folds together when not being used. 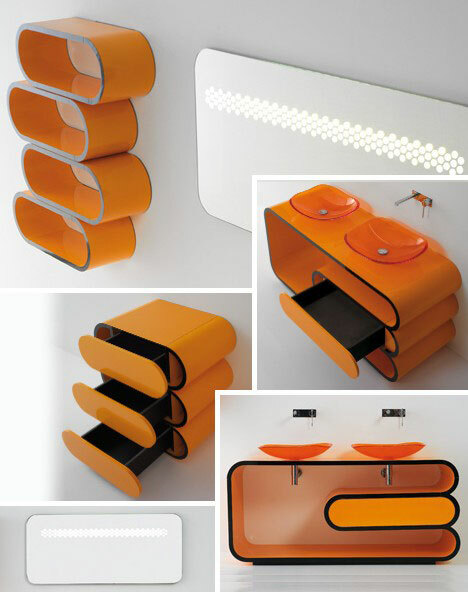 This coordinated bathroom set by Bagna Bandini exhibits the very best of ultra-modern Italian design. Rounded forms, flowing lines and freedom from clutter suit what is for most of us, the room in which we prepare ourselves to meet the day – or night. 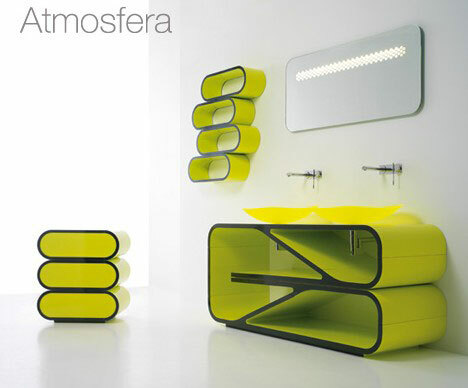 The Ebb series of so-called “bathroom furniture” from UStogether looks like nothing you’ve ever seen before. 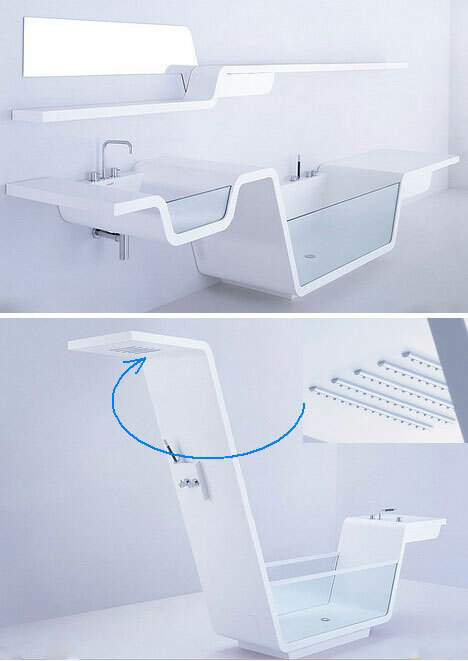 Clear fronts to the sink basins and even the bathtub surprise at first, then seem almost natural in a starshippy sort of way. Closing out takes us out of the house but cool furniture likes to step out sometime, even if it’s just as far as your backyard. The Obelisk gets out all right – WAY out. The set of 4 chairs and a matching coffee table stacks into a vaguely ICBM-ish tower when you’re not using them. 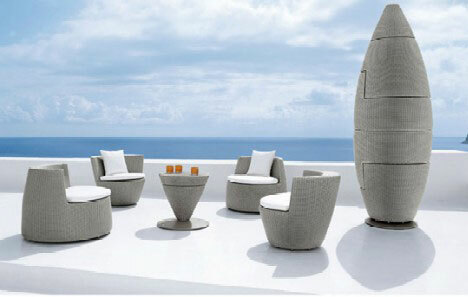 The design comes from Dedon, who’ve hit the futuristic bulls-eye dead on.